How are you doing? I'm alright. A bit tired seeing as my little decided that she was going to come and sleep with me in the middle of the night and she sleeps bad lol. So I'm hoping that tonight I'll be able to call it an early one. I've got this gorgeous polish by +KBShimmer that was actually another polish from a swap I had participated in a while back. Keep reading for more! 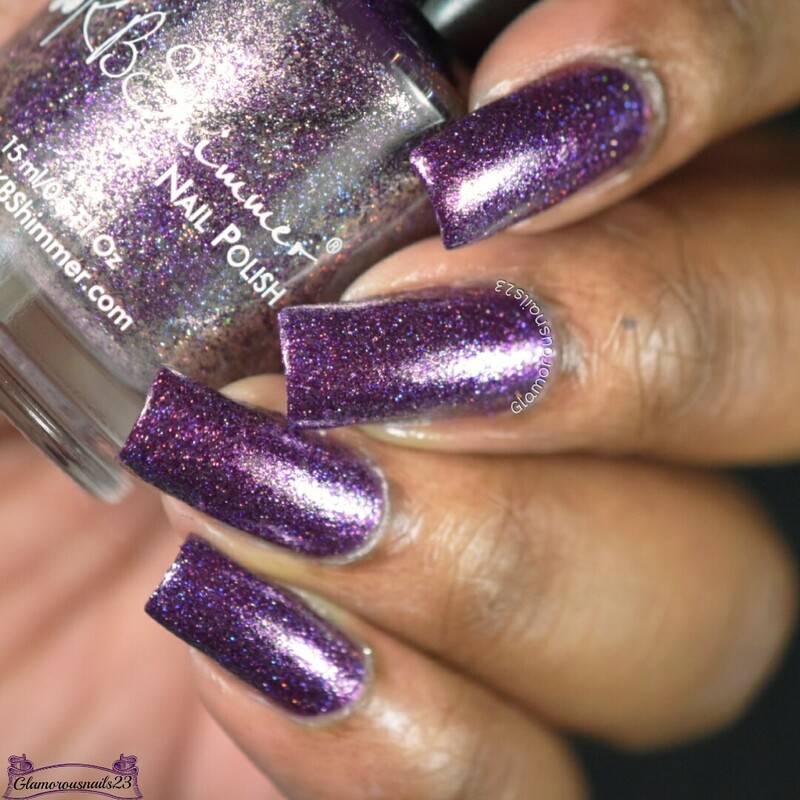 Amethyst is a deep reddened purple polish with metallic flakes and holographic silver shimmer from the Birthstone Collection. I love amethyst and this reminds me so much of it! The formula was smooth with good coverage and did build nicely. 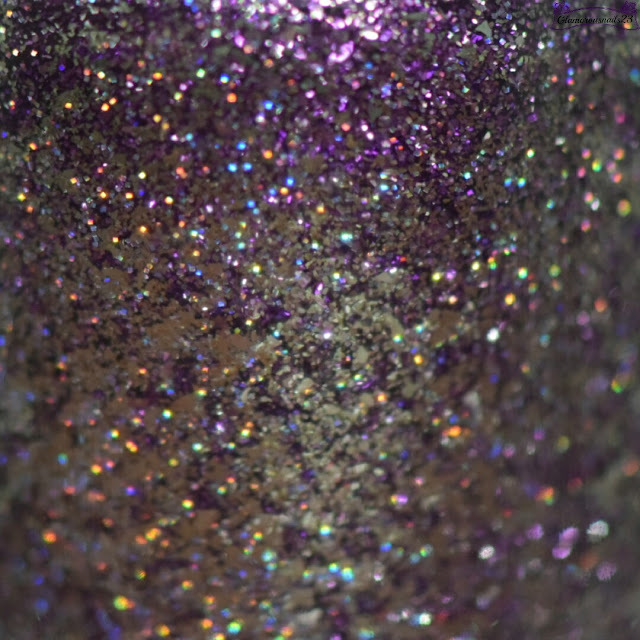 To be honest I was slightly unsure about how I would feel about this polish when I saw it in the bottle but once I got it on the nail I was extremely pleased. Shown is three thin coats with a glossy top coat. Do you own Amethyst? What's your birthstone? 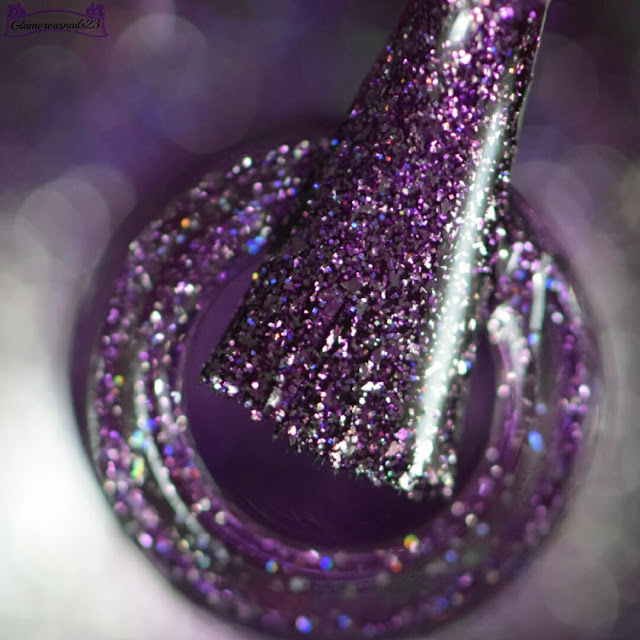 Did you pick up any polishes from the KBShimmer Birthstone Collection? Let me know! The sparkle is strong with this one. I'm not a huge amethyst fan in general, but KBShimmer makes the stone look good! Ha! She makes everything look good! Lmao.